Because the perfect party is in the preparation. Are you a DIY Diva and Pinterest Pro? Or are you craft-clueless? It could be that you’ve hosted many baby showers in the past - or perhaps you’ve never done anything like this before. Regardless of what kind of party planning experience you have, what kind of baby shower you’d like to throw, and what level of crafty expertise you may or may not possess, I promise this book will help you! 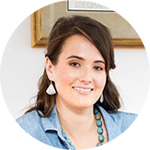 I’ll walk you through every step of preparation and execution, share ideas and inspiration, and give you the tools you need to throw a memorable baby shower for the mommy- (or mommy and daddy) to-be - without getting stressed or burnt-out in the process! JUMP TO THE PACKAGES NOW! ...or keep reading to learn more! This is the ultimate all-in-one guide to throwing the perfect baby shower. The perfect mix of organization + inspiration. Whether you’re an experienced hostess or a brand new to party planning, you can never be too organized! It's really true that the perfect party is all in the preparation. I will walk you through each step of the planning process and give you helpful tips for staying on top of every detail along the way. The more organized and prepared you are, the less stressed and burnt-out you will be on party day! Want to throw a beautiful, Pinterest-worthy baby shower? In this book, I’ve given you simple, practical, and doable ideas for every element that will set your party apart and impress your guests - themes, decor, food, games, favors, and more. I’ve also hand curated multiple Pinterest boards full of even more adorable baby shower ideas from other amazing bloggers. You will find no shortage of inspiration in these pages! I'll help you keep track of all the details. 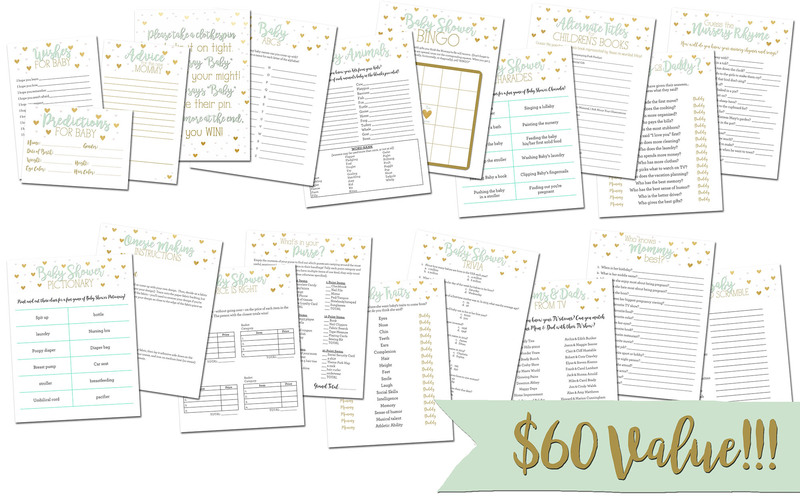 You'll love my printable Planning Toolkit! 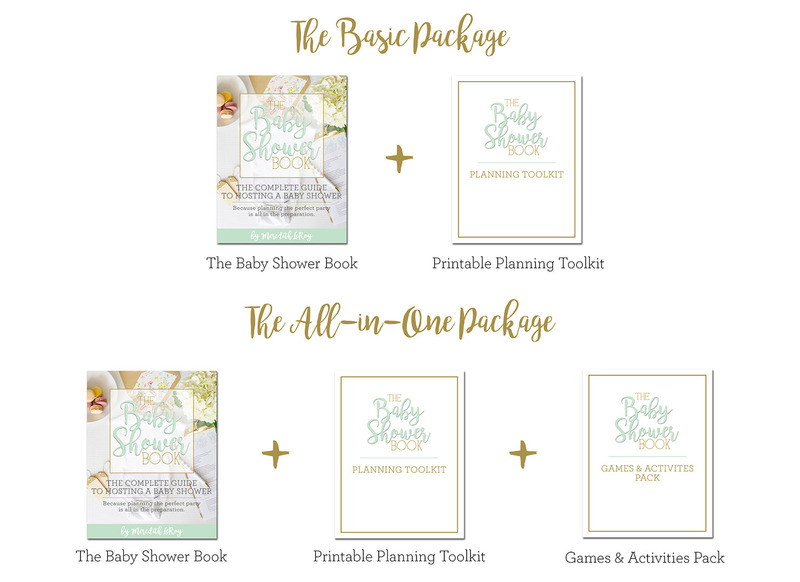 Along with your purchase of The Baby Shower Book, you’ll receive a printable Baby Shower Planning Toolkit to help you with each step of brainstorming and planning! This is the perfect guide to throw a loved one or friend a baby shower even for a first timer. It offers plenty of ideas for everyone's taste and allows you to organize your plans and check them off as you go. The games are so fun, the print outs are amazing! I love the chic design and lovely colors! The Baby Shower Book is organized and easy to read! I love that it condenses so many fun, creative, and smart ideas all into one place. The printable toolkit makes planning simple, and the option to add the extra games and activities is a bonus! Overall, I think it is an excellent resource for anyone planning or assisting with a baby shower! PLUS... 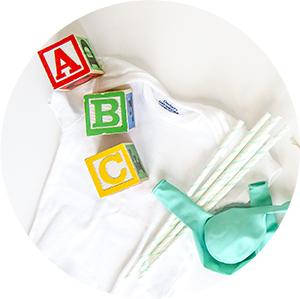 The Baby Shower Games & Activites Pack! Save time - and money - with this amazing bonus resource. If you’re looking for a one-stop-shop for all your baby shower needs, look no further! As part of the All-in-One Package, you’ll receive TWENTY (yes, 20!) printable baby shower games and activities! 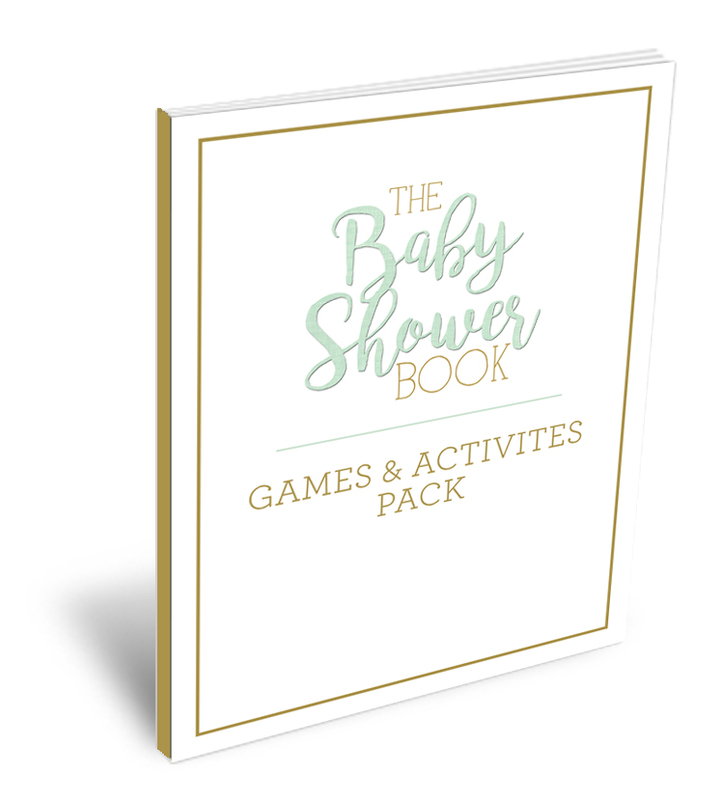 They have all been created with a cohesive, gender-neutral design, so all you have to do is choose the games and activities you’d like for your baby shower, print, and check it off your list! If you were purchasing these from a designer on Etsy, you’d likely pay anywhere from $3-10 PER PRINTABLE to download and print yourself - that means this is, at minimum, a $60 value! You have the lifetime rights to print as many of these games as you want (for your own personal use), which makes this an incredible resource for any baby showers you might host in the future as well! All you'll have to do is pick your favorite games, print, and go. What's included in the Games & Activities Printable Pack? This printables pack is only included as part of the All-in-One Package, so if you want access to all of these great games for your shower, be sure to select that bundle below! 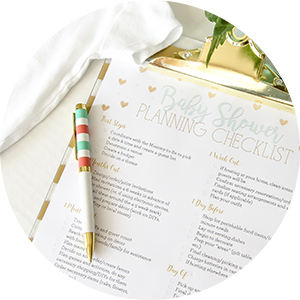 Grab my master baby shower planning checklist - free! Want to get a taste of the detail-oriented planning assistance you’ll find in this book? 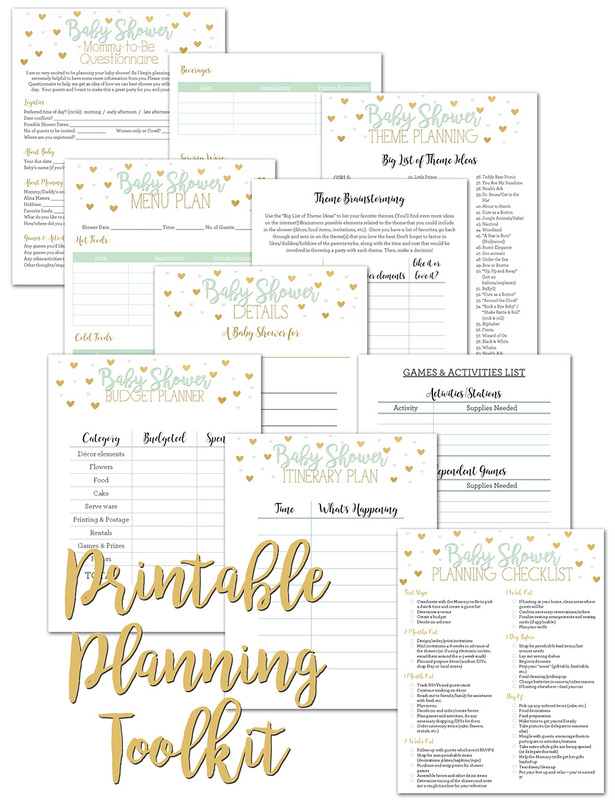 Sign up here to receive the Baby Shower Planning Checklist that’s included in the printable Baby Shower Planning Toolkit - absolutely free! You'll receive it instantly in your inbox. From décor to games, Meredith has thought of it all! I love the practical advice that she gives for every single step of the baby shower planning process. The Planning Toolkit insures that you don’t forget a thing, and the Games and Activities Pack is full of beautifully designed printables for both classic and unique baby shower games. 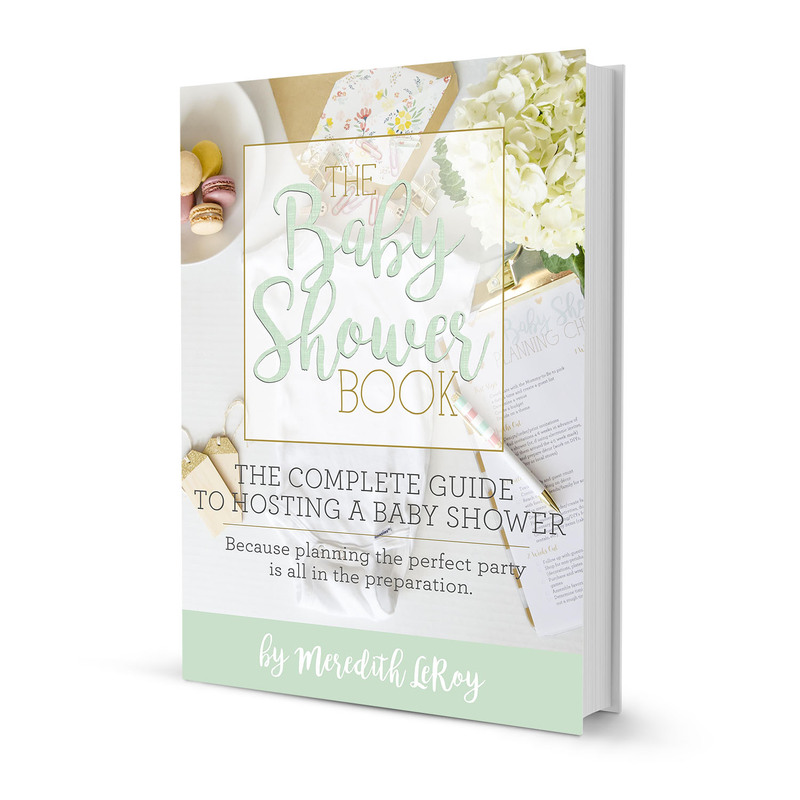 Whether you’re throwing a baby shower for the first time or have a few under your belt, The Baby Shower Book has something for everyone. I can’t wait to use these ideas for the next baby shower that I throw! Even as an experienced shower hostess myself, this is super helpful! Especially the game ideas & printables. I can't tell you how many hours I've spent googling baby shower games so to have them all in one place is awesome. It's worth it alone for the planning checklist - especially if you are co-hosting so that you can easily split up the tasks. I recently had my first baby and my baby showers were some of the sweetest celebrations - people notice the details and Meredith's wisdom will help you plan for all those special touches. Stephanie Cunningham Sandpiper and Co. Your PDF files will be available for instant download after payment. Happy planning - and partying! Hey, there! 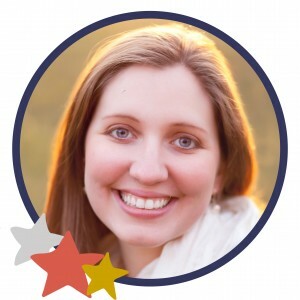 I’m Meredith…blogger, high-school-choir-director-turned-stay-at-home-mom, mother of a beautiful (almost) 4 year old girl and a handsome 1 year old boy, wife to an amazing husband, and daughter of a loving God! I’m regularly *inspired* to create projects with my own spin on them, and I love to pass on the inspiration to my readers. Since the beginning of unOriginalMom.com in 2013, my projects and tutorials have collected 3.5 million page views and been featured on hundreds of websites including Better Homes and Gardens, Country Living, Buzz Feed, Reader's Digest, and more. As I began blogging, it didn’t take very long for me to begin to discover a more creative - and, dare I say, original - side to myself that I didn’t even know existed. I fell in love with the blogging world and discovered what a terrific outlet this could be for me in the (sometimes) mundane life of a stay-at-home mom. Even as I discover more of my own originality, I’m a believer that no idea is ever truly “original” – inspiration comes from many different places! unOriginal Mom has been – and continues to be – a creative journey for me.